The latest addition to the fleet (C.M. Mehran) arrives in Bautino having sailed from Karachi via Suez and the Black Sea. The vessel was built in 2003 and is a 44 tonne Bollard Pull AHT and will be used by Saipem in support of its operations Offshore Kazakhstan. 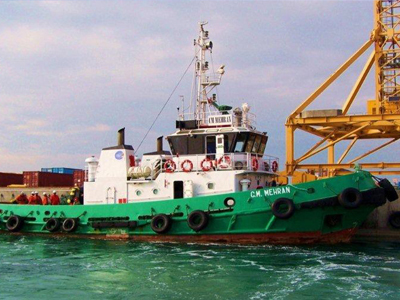 The vessel was selected due to its Shallow Draft, high horse power and manoeuvrability.